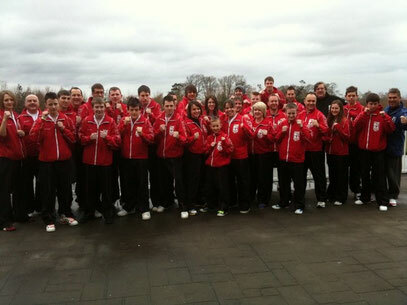 After months and months of hard training the BCKA England Squad gathered together at Lodge Park Sports Centre on the 4th March preparing to set off for another Irish Open tournament. 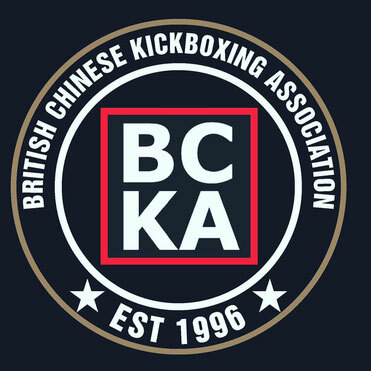 The BCKA have attended the Irish Open annually for many years with some squad members having competed there over ten times and each year it continues to grow and proves to be an incredible experience for the BCKA fighters. The BCKA squad travelled by ferry to Ireland and had a laid back, long but relaxing journey arriving at the Bewleys Hotel in Dublin around tea time. This year the adult competitors had to register and weigh in on the Friday evening, so the BCKA spectators and kids were dropped off with the bags whilst the adult contingent of the team travelled straight to the City West Hotel for registration. With registration complete and after a quick wander round the arena the BCKA squad returned to Bewleys Hotel to check in, get changed and chill out before the start of the tournament the next day. Once settled in the hotel, most of the squad congregated in the bar area for some food and to chill out after the long day of travelling. With Alex keeping an eye on things an early night was had by all fighters. Saturday morning was another early start for the team and after breakfast, the squad assembled in the hotel foyer ready for the short trip to the City West venue. Upon arriving at the venue the twenty seven BCKA fighters and their coaches and supporters were met with the usual hustle and bustle of a competitive arena. This was the second year that the City West Hotel has hosted the Irish Open and as per last year was arranged with 15 mats and a full contact ring, with masses of space for warming up and plenty of room for spectators. This year Alex Barrowman Jnr made the step up into the men’s semi contact division and lost out in the first round to a top class fighter. Also in the men’s semi contact were Kevin Williams, Michael Dempsey, Danilo Trozzi and Rob Marr, all also going out in the first round. Danilo also fought in the veteran’s section and progressed to the second round. Both Alex Barrowman Jnr and Kevin Williams also represented in the men’s advanced light contact and fought hard to get through to the quarter finals, with a rather dubious decision marking the end of Alex’s campaign. Ross Clark, Lee Murray and Richie Wooton all turned out in men’s novice light contact divisions, for all their first experience of light contact at the Irish Open. Ross was unable to progress past the first round and Lee got as far as the second round, despite their best efforts. Richie on the other hand put in a magnificent performance, even managing to knock out one of his opponents and deservedly came away with an international gold. For the women in light contact Cat Harris fought in the novice light contact and despite giving it everything did not progress past the first round coming up against the eventual category winner. Sarah Day and Jo Redman fought in the advanced category with Sarah putting in an excellent performance but just missing out in the first round and Jo retiring from the first round due to injury. After all fighters had finished the squad travelled back to the Bewleys Hotel for some food, relaxation and early nights for all those fighting the next day. Sunday came around quickly with the foyer of Bewleys Hotel turned into a sea of red BCKA England Squad jackets as the squad gathered again for the bus journey to the City West Hotel for day two of the Irish Open. Today upon arriving at the venue the squad were instructed by Chief Instructor Alex to head upstairs and out onto the balcony for the annual BCKA England Squad photos, where not even the support team miss out on being photographed. Dressed smartly in their black and white BCKA England suits and red team jackets, everyone was looking good (and if they weren’t they got moved to the back!!). The BCKA had 22 fighters competing today in semi contact categories, with 6 fighters set to make their Irish Open debuts. The youngest fighter this year in the squad was TJ White. Not only was TJ the youngest, it was also his first Irish Open but showing no sign of nerves TJ smashed his way through his category to the quarter finals even landing jumping kicks on the way. The other BCKA boys also fought really hard and well. Kieren Wilson and Jack Bristowe were also both new to the Irish Open. Kieren entered one category and got through to the second round. 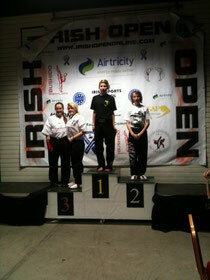 Jack entered both beginners and intermediate categories and earned himself a bronze medal. Lewis Gemmill and Max Halligan were also in action with Lewis going out in the first round and Max unable to get further than the second round. Reece Dalton entered two categories; beginners and intermediates and despite an injury to his toe got through to the second round of the beginners and was unfortunate in the first round of the intermediates. Courtney Brown entered both boy’s and men’s semi contact. 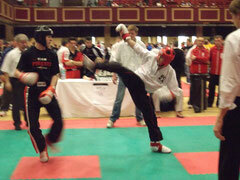 He was unlucky in the boy’s section after taking the fight to extra time but got to the second round in the men’s. Ryan Winham stepped up into the men’s divisions this year participating in both beginner and intermediate sections and going out in the second and first rounds respectively. Lee Murray, Richard Faller, Ross Clark, Rob Marr and Grant Brown were all in action in the men’s semi contact and despite putting in some good performances were unlucky not to progress. 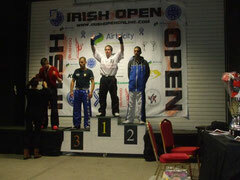 Three men making their Irish Open debuts were Marco Broccoli, Simon Huckle and Aaron Young. All fought very well, Marco and Simon going out in the first round and Aaron fighting his way through to the second. After yesterday’s gold in light contact, Richie Wooton was back in action in semi contact and once more was on good form as he battled his way through to the quarter finals. On the semi contact side of things though this year’s Irish Open was one for the BCKA girls Nicola Gemmill and Sophie Collinson. Nicola competed in the girl’s intermediate and advanced sections and came away with a bronze medal. Sophie found herself in four categories after some administration error she was in beginner and intermediate for girls and women. Nevertheless she was undeterred and put in some remarkable performances over the day, winning herself two bronzes in the two girls divisions, sharing the podium with her teammate Nicola on one occasion. In the women’s categories she also fought hard and was unlucky not to go further than the first and second rounds. For the women Cat Harris and Sarah Day were in action in the intermediate categories and Katie Grant fought in the advanced section. Cat won her first fight with a ten point lead but was unable to repeat the success in the second round, whereas Sarah fought her way through to the quarter finals. Katie put in a strong performance but was overcome in the first round. 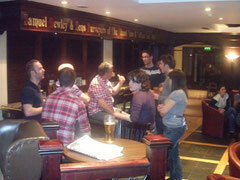 The end of another successful and much enjoyed Irish Open was celebrated back at the Bewleys Hotel with the BCKA Squad filling up the bar area and sharing a post-tournament drink or two. As usual the Irish Open was a fantastic weekend for the BCKA Squad and its supporters, with the team coming away with one gold, four bronzes and five quarter finalists. The team spirit again was high and all members supported and congratulated each other throughout the event. Monday morning came round too fast and signalled the start of another long journey back home with sights already set on next year’s event. Much credit must also go to the BCKA coaches for their hard work with the squad throughout the year and at the tournament itself and appreciation to the supporters that travel out with the team every year.